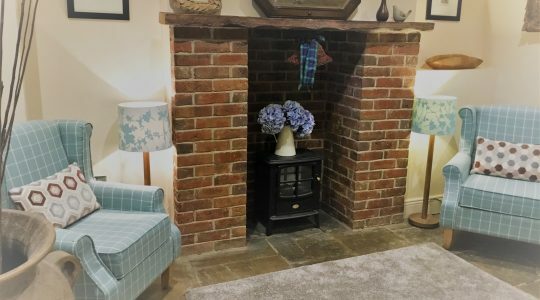 High View Grange Farmhouse at Standlow is a luxurious 7 bedroom farmhouse, just 20 mins by car from Alton Towers, and with stunning views over the village of Kniveton. 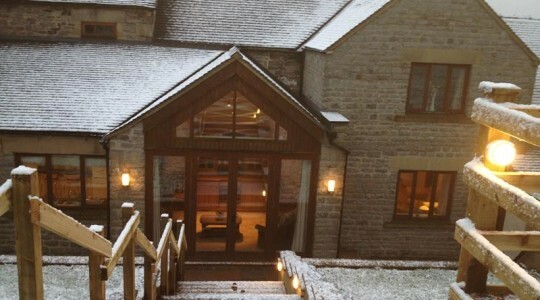 This large house can sleep 14 – 17 guests, with a large communal area for up to 23 to dine together. This makes it a fabulous space for group celebrations or family holidays. 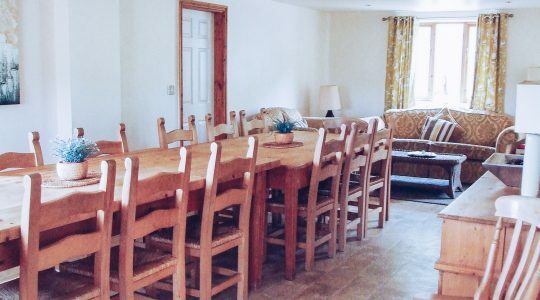 Further accommodation can be added for larger gatherings in the other Standlow cottages. 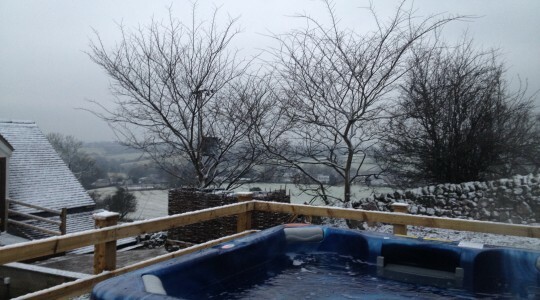 High View Grange has a large private hot tub and decked area in the garden behind. 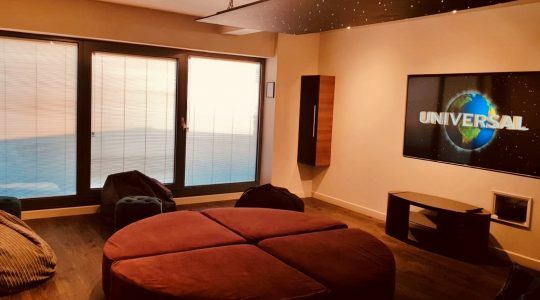 The house offers a modern cinema room, which can also be used as a meeting room, or space for activities like dance or yoga classes. Guests have shared use of the large Games Room, containing 2 full size snooker/pool tables, and the children’s play area. 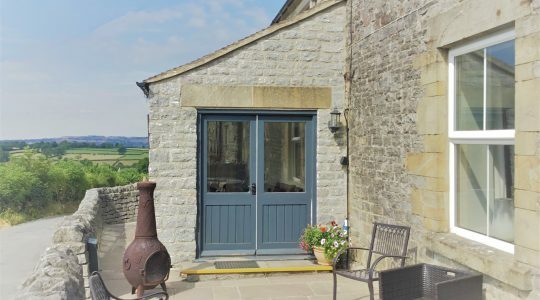 This super house has an extremely spacious ground floor, including a bespoke kitchen with black granite worktops, double range oven, dishwasher, fridge-freezer & microwave. 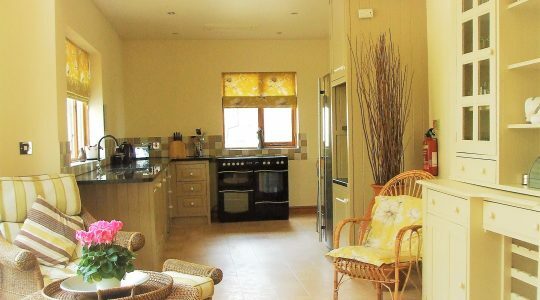 The kitchen opens out to the farmhouse style large dining area/conservatory. 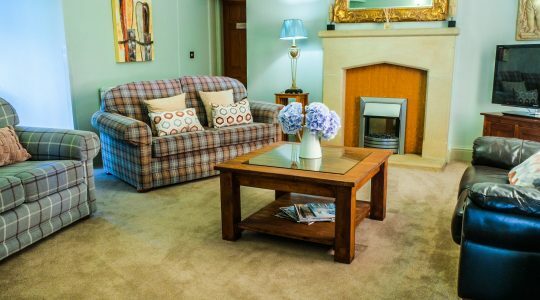 The lounge boasts a stone fireplace, plenty of comfy sofas and a TV. WiFi is included free of charge. 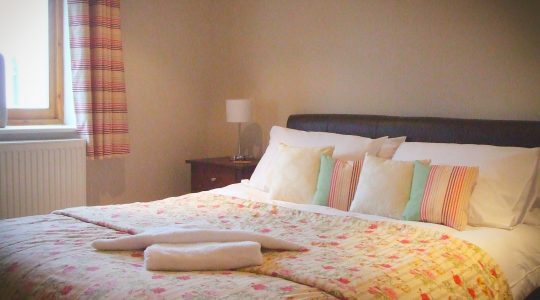 The Orchid Bedroom is accessed from the lounge, along with a wash room in the cosy snug. This provides ground floor accommodation for those who require it. 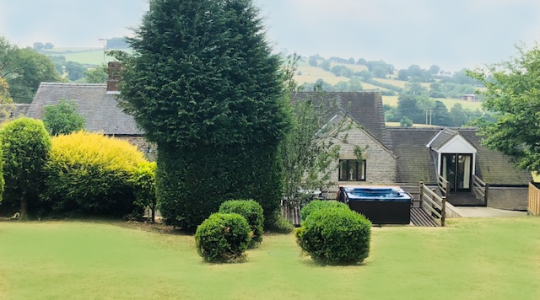 Panoramic windows overlook the wonderful rural views of Kniveton Valley. 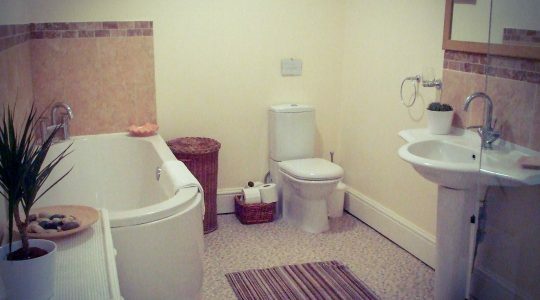 Family bathroom with bath and walk in shower. 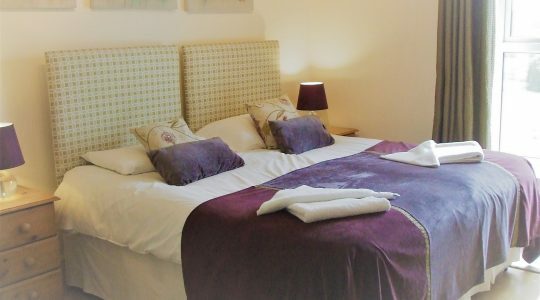 The Chestnut Suite – En-suite king/twin bedroom with extra single futon if required. 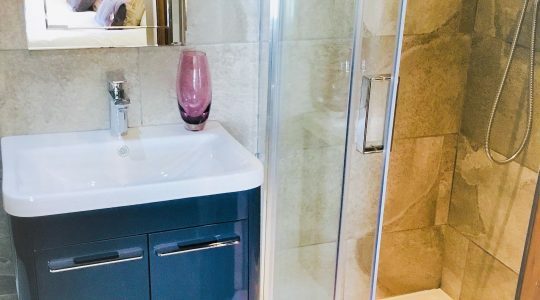 The Chestnut Suite is decorated in luxurious colours, with French doors that open out into the garden and the hot tub. 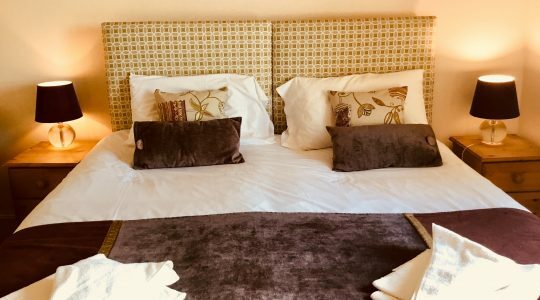 The Lavender Room – En-suite bedroom which can be either king/twin bedroom, offering stunning views over the village of Kniveton. Pricing can be viewed here.